Normally, travel broadens the mind but what about visiting a totalitarian state? Over the past few months there has been a vigorous debate around whether or not to continue economic sanctions on the dictatorship in Cuba and a series of manufactured controversies surrounding democracy promotion programs directed at the island has led to a conversation about their effectiveness. However, a couple of other issues that emerged but that have gone unaddressed are the conceits that American tourists, business, and high technology would somehow be game changers in Cuba and that "evolutionary change" would take place within Cuba. In this second installment will briefly explore some high profile examples of the impact of tourism on totalitarian states. What has happened in the past when tourists take the lead in public diplomacy? Well it depends on what kind of tourist is visiting a totalitarian regime. Basically divide them into four general groups: bargain travelers, political pilgrims, celebrities, and informed travelers that know how totalitarian states function and know what they are getting into. The last group is almost always a very small number. Bargain travelers will go to a totalitarian regime because often times it is a cheap holiday in an exotic location. Depending on the regime they will be kept in areas geared to tourists providing them a Potemkin village experience. However that does not mean that information on health and security will be accurate and it can place tourists at risk. In the case of both Cuba and North Korea, businessmen who have engaged the regime in business ventures are rotting in prison. There is also an ethical question providing hard currency to a system that is actively repressing its own populace and no matter how little it may be it is helping a totalitarian state. Celebrities visiting totalitarian states become targets of both the state security service and the propaganda ministries. These regime will pull out all the stops to show themselves in the best light possible and make sure that celebrities have a great time but within a reality fabricated by the totalitarians. It has paid back with big dividends in the past. 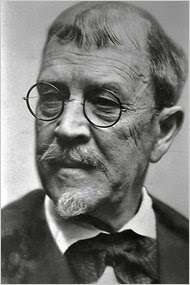 For example in 1919 Lincoln Joseph Steffens, a respected journalist, spent three weeks visiting the Soviet Union and wrote "Soviet Russia was a revolutionary government with an evolutionary plan", enduring "a temporary condition of evil, which is made tolerable by hope and a plan." When he returned to the United States he campaigned for U.S. food aid for the Soviet Union saying repeatedly: "I have seen the future, and it works." Remember that in January of 1919 the Bolsheviks under Vladimir Lenin had already been carrying out the systematic and mass extermination of entire social classes. By 1931 Steffens had grown disillusioned but for over a decade people heard from this journalist about the wonders of the Soviet Union. Charles Lindbergh, the heroic emblem of aviation’s glamorous present and brilliant future. Lindbergh, who had moved his family to Europe following the kidnapping and murder of his eldest child, visited Germany five times between 1936 and 1939. Officially lionized, taken on tours of airfields and factories, lavishly entertained by Air Marshal Hermann Göring, and awarded one of the country’s highest civilian honors, Lindbergh made no effort to distance himself from Nazism. Hitler, he wrote to the banker Harry Davison, “is undoubtedly a great man, and I believe he has done much for the German people.” - See more at: http://www.andrewnagorski.com/reviews/new-york-review-books-0#sthash.k1iFj9I6.dpufCharles Lindbergh, visited Nazi Germany five times between 1936 and 1939. 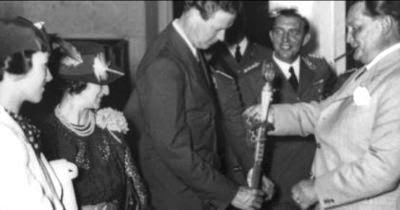 Lindbergh was taken on tours of airfields and factories, lavishly entertained by Air Marshal Hermann Göring, and awarded one of Third Reich’s highest civilian honors. Lindbergh made no efforts to distance himself from Nazism. Writing to the banker Harry Davison, he said that Hitler “is undoubtedly a great man, and I believe he has done much for the German people." On June 23, 1933 Adolph Hitler signed a law creating the "Reich Committee for Tourism" and according to Kristen Semmens marked the first step in the Nazis thorough coordination of German commercial tourism. Semmens explains how "normal" experiences--such as taking a tour, visiting a popular sightseeing attraction, reading a guidebook or sending a postcard--Seeing Hitler's Germany deepens our understanding of the popular legitimization of Nazi rule not only in Germany but internationally. This also explains, in part, the inaction of other democratic states in reacting to the consolidation of Nazi rule and its re-armament. Today, in Cuba for example, the tourism industry is run by the military with input by the regime's intelligence service. "Hitler, I am beginning to feel, is a very great man, like an inspired religious leader -- and as such rather fanatical -- but not scheming, not selfish, not greedy for power, but a mystic, a visionary who really wants the best for his country and, on the whole, has a rather broad view." Needless to say the Lindbergh's analysis was profoundly mistaken. The tyrant who many at the time thought wanted "the best for his country" when Germany failed to achieve the Thousand Year Reich Hitler had wanted he issued the Nero Decree on March 19, 1945 ordering the infrastructure of the country to be destroyed effectively also sentencing the German people to death. Not only did Nazi Germany order the extermination of the Jewish race at the Wannsee Conference on January 20, 1942 but three years later the German people. The totalitarian state in North Korea is not as expert as their counterpart in Cuba, but nevertheless hosted NBA basketball star Dennis Rodman in four visits to the peninsula between 2013 and early 2014. 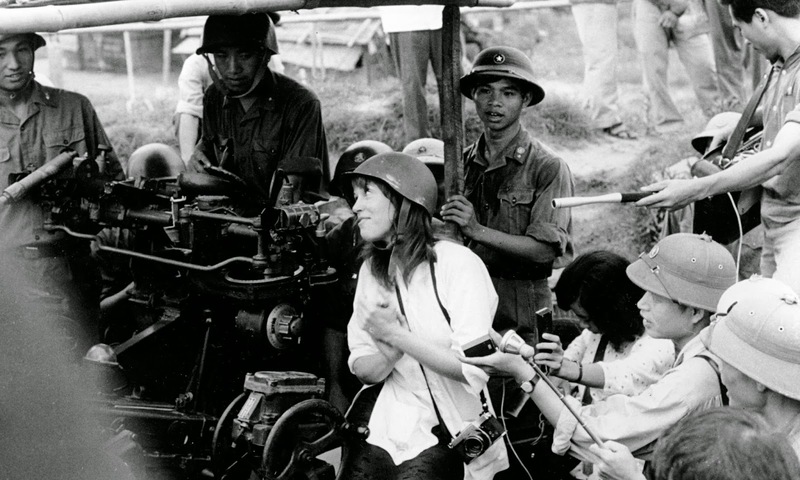 The brutal communist dictatorship was trying to obtain positive media. 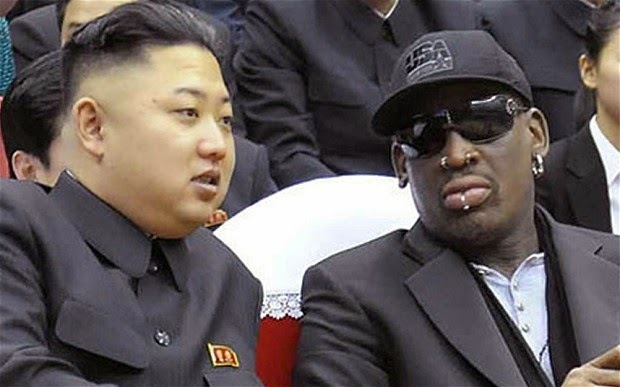 Rodman played an exhibition basket ball game in North Korea in January 2014, singing Happy Birthday to dictator Kim Jong Un, said the young leader was a friend and also "a very good guy." Weeks earlier Kim Jong Un had purged and executed his own uncle. According to NBC news the uncle was stripped naked and fed to a pack of ravenous dogs. Official North Korean media has reported the execution of the Uncle but has not specified the method used. However, the NBA star claims that the uncle was not executed. Rodman also attempted to justify the imprisonment of an American citizen, Kenneth Bae, implying in a CNN interview that he had done something to deserve being jailed there since 2012. Kenneth Bae had a tour company organizing tours to North Korea since 2006. He was arrested on November 3, 2012. Despite Rodman's claims international human rights organizations and bodies identify North Korea as one of the most extreme and systematic human rights violators on the planet. However at times for the sake of shifting unwanted attention these kind of regimes are more than capable of placing celebrities in the spotlight as was done with Beyonce and Jay-Z back in April of 2013. 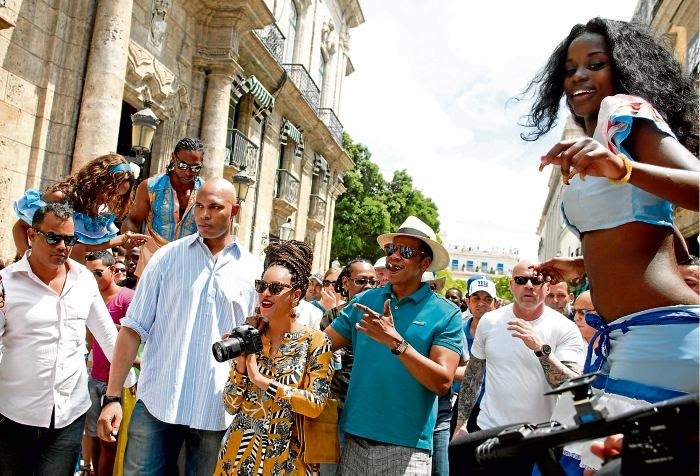 It was the Cuban totalitarian state that first released footage and news of the Jay-Z and Beyonce trip describing it as tourism. The Castro regime wanted to create a media storm to take attention away from three Cuban women, then exposing the brutal reality in Cuba as they traveled around the world, shifting it back to a debate over restrictions in U.S. law on travel to Cuba. A year later the Treasury Department confirmed that the couple had not violated U.S. laws during the trip. "We allow Cubans to come in and say that they're refugees. Well, in Cuba — I've been there, you know — people are fed, people are housed, people are clothed. There isn't violence in the streets. It’s an amazing country. I’ve been all over Latin America. And it’s the only Latin American country I’ve been in that didn’t have armed troops on the street, there weren’t homeless people everywhere, and kids had school uniforms and had schoolbooks paid for and had their health paid for. There’s things going on in Cuba that we don’t know about, and that’s mainly because of the Miami Cubans, they just absolutely won’t – they are absolutely closed-minded. They hate Fidel Castro, they won’t even hear about some of the good things he’s done, and they don’t want anyone else to know about it, either. It’s a total propaganda device and they’ve blanketed this country with propaganda about Cuba, huge amounts of which are untrue. The reality that Cubans know on and off the island is far different, but also there are respected international human rights bodies and organizations that would dispute everything in the above statement. Sadly, the unwitting "propaganda device" is a talented and legendary singer who had The Eagles as a backup band. "...we indiscriminately attacked all families owning land. Many thousands were executed. We saw enemies everywhere and resorted to widespread violence and terror...There were grave errors..."
On other occasions General Giap explained: "We executed too many honest people...", "...We resorted to terror, disciplinary punishments and torture..." Revenge squads organized by the Communist Vietnamese government may have executed up to 200,000, forced the eviction of over a million South Vietnamese to the North as prisoners, and killed no one knows how many more through deliberate exposure to disease and malnutrition. A million and a half fled Vietnam primarily by sea and became known as the boat people. The human rights situation today in Vietnam remains dire. Years ago, at a youth gathering at Harvard University , I had the opportunity to engage a bright young student who had just returned from a semester in Cuba and she was spouting Cuban government propaganda. My response to her was to give her a list of links to Amnesty International, Human Rights Watch and the Inter-American Human Rights Commission on the human rights situation on the island and past atrocities. She came back a couple of hours later in tears of anger for having been lied to and manipulated while in Cuba. Political pilgrims are people who share an ideological sympathy with the regime and will go there on vacation to reinforce their political beliefs and provide the totalitarian regime with concrete material support. Some of them will take part in political rallies and events while a smaller subset will also engage in trainings to promote their ideology elsewhere. Years ago at the University of Miami met a small group of American students who had returned from such an event in Cuba. They were openly Stalinist and said that those imprisoned in Cuba for their ideas were getting what they deserved. They also volunteered that they were against the death penalty in the United States today because the wrong people were in power but when the revolution arrived they wanted the death penalty to get rid of the "right people." It was a chilling encounter. These youths are part of a totalitarian network that operates internationally with the assistance of state actors. These young totalitarians are found both within Communist and Nazi networks. As one marks the 75 years since Communists and Nazis joined together in the Molotov Ribbentrop pact in 1939 it is interesting to note where they link today on issues such as Israel and in alliances with the regime in Iran. David Duke would fit the bill of a political pilgrim in his 2006 trip to Iran. The human rights situation in Iran remains dire. The smallest group visiting these types of regimes are informed travelers that know how totalitarian states function, understand the dangers and know what they are getting into but decide to risk all and meet with dissidents and human rights defenders demonstrating their solidarity. These travelers are in my opinion the only ones making a positive contribution visiting totalitarian states, but must weigh what they plan to do with how much hard currency they'll be leaving the dictatorship to continue its machinery of repression. The conceit that "opening up" Cuba to mass American tourism will be a game changer endangering the totalitarian state on the island is not tenable. The dictatorship in my opinion will continue to control through its totalitarian mechanisms who can and cannot enter and with increased travel receive hard currency for the military and intelligence apparatus that run the tourism industry. What to do you think?